DnBuster's Place: Have you tried INSTAGC?? This is my favorite site at this time and is on my make $$ online tab above. InstaGC is a simple site! You complete offers and earn points. Redeem those points for Gift Cards! Thanks bunches @instagc $9 in amazon!! Not a member yet? Join here https://instagc.com/dnbuster earn by watching videos! 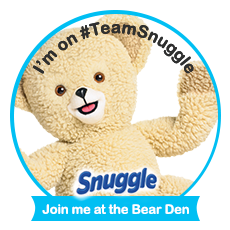 Have you joined yet? InstaGC/dnbuster I redeemed for another $50! Total in 1 week $188!! Yippie! Another reward from Instagc!! As with any site there are PROs and Cons here are mine for IGC! The ONLY con is that it does, as with any other earnings site TAKE TIME and EFFORT!! You will not get rich OVER NIGHT!! This $200+ I redeemed for over the weekend was NOT earned over night! It took me and my 1 VERY active referral alot of work on surveys and watching videos! note~ After you redeem for $50 or more in Other gift cards~ Amazon, walmart or 1,000 other choices you can choose paypal or direct deposit for Earnings!! Thanks for stopping by Dnbusters Place! 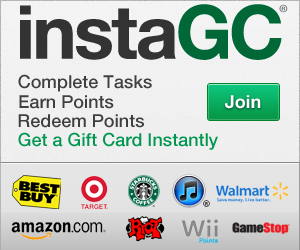 This post does contain a referral link to IGC I earn 10% of points earned by an active referral. These links help keep this blog up and running! Thank you for supporting my blog!